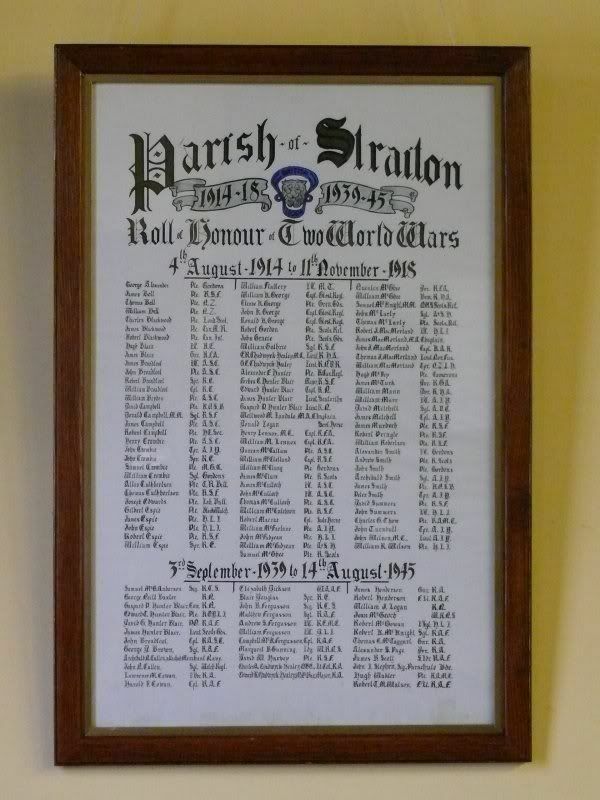 Location is in the McCandlish Hall (village hall) at Straiton. OS Map Ref NS 381 049. 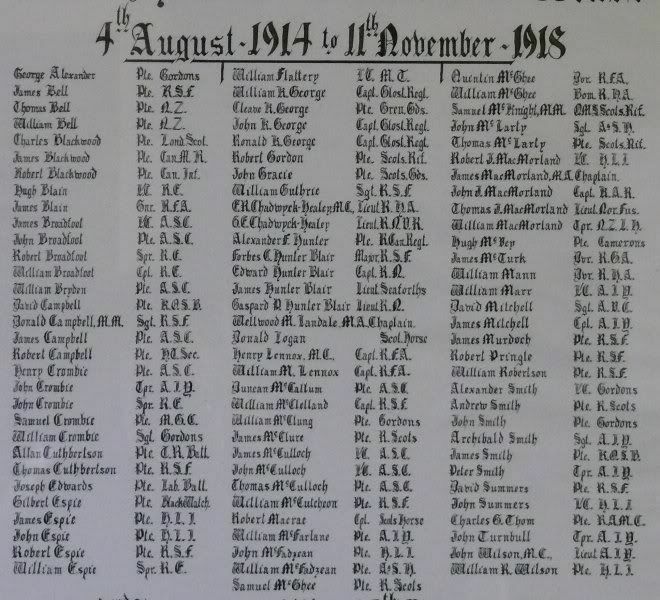 This is a large Roll of Honour hanging inside the village hall. Unfortunately, those who died are not indicated on the roll so it is necessary to compare it with the village war memorial for that info.